Suffice it to say, that so far, all the pigments identified in green plants absorb light wavelengths in the UV, blue, red and far-red regions of the light spectrum while ignoring (or avoiding!) the green and yellow regions. This makes sense from the standpoint of what we see: plants are green because they don’t absorb these wavelengths, instead reflecting them back at us (note: we only see the reflected yellow / orange colours in the fall when the green chlorophyll has degraded). 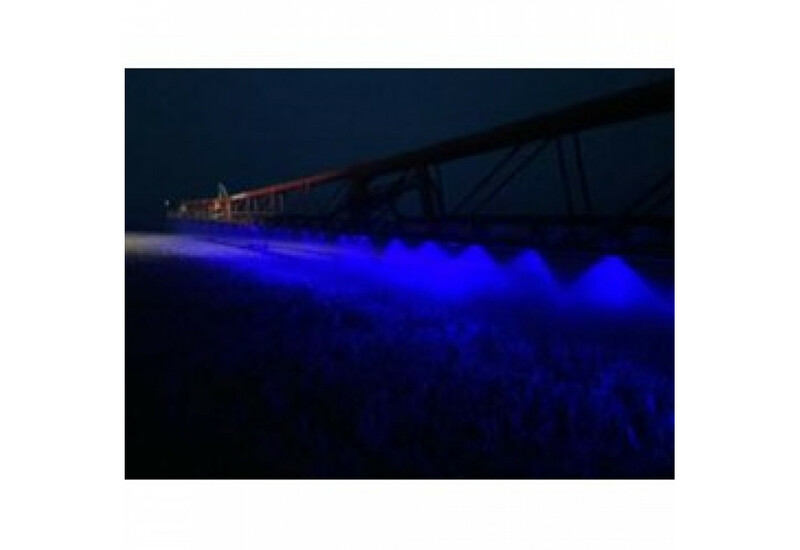 So one could sort of say you may make your crop grow more by using blue led lights on your crop sprayer.